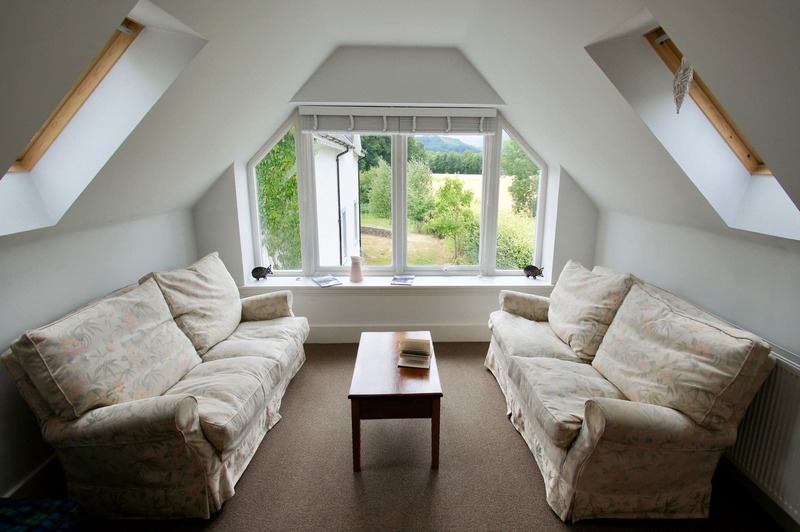 This stylish modern holiday apartment for two is located on the outskirts of the quiet Perthshire village of Comrie and provides a great base for exploring. The property includes a downstairs bathroom with shower, sink and toilet. Upstairs there is a kitchen space with hob, oven, kettle and toaster. There is a large open plan room with double bed, dining table and two chairs, a television, and sofa seating with a coffee table. 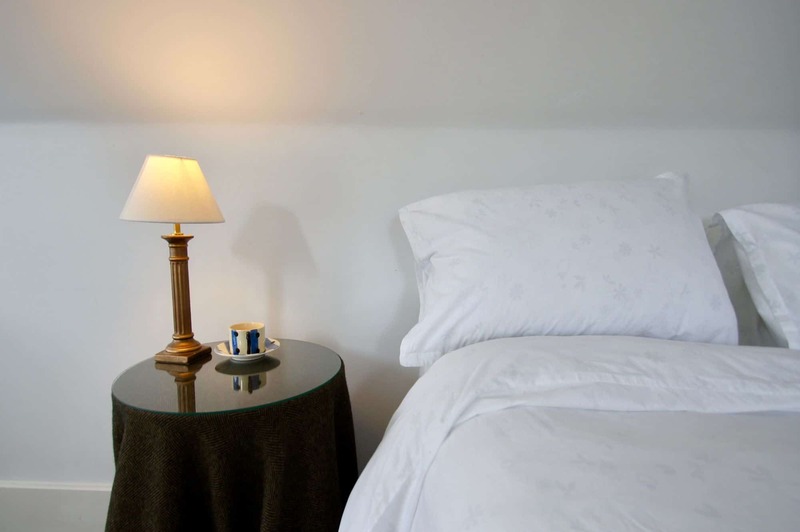 There is a large picture window looking out towards the open countryside, along with the skylights this makes the room a light and spacious place to sleep or relax. Comrie is known for the White Church which is a short drive away. In the centre of the village you will find shops, restaurants and cafes. 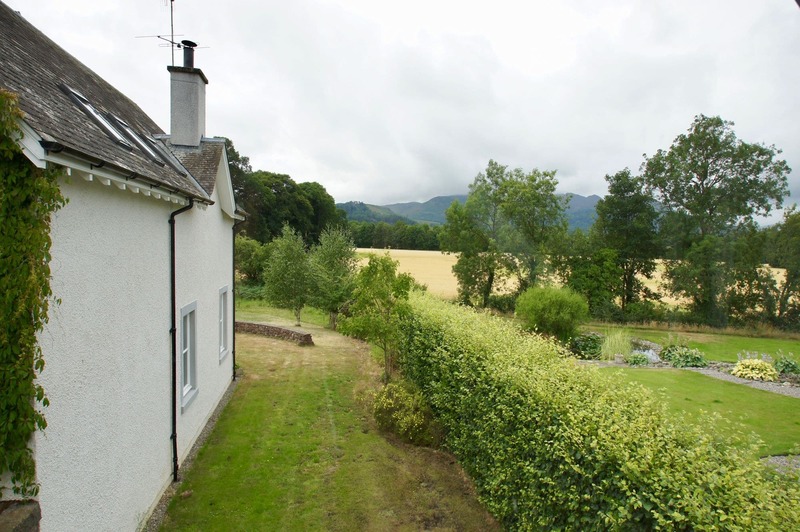 For bike enthusiasts there are trails at the nearby Comrie Croft. 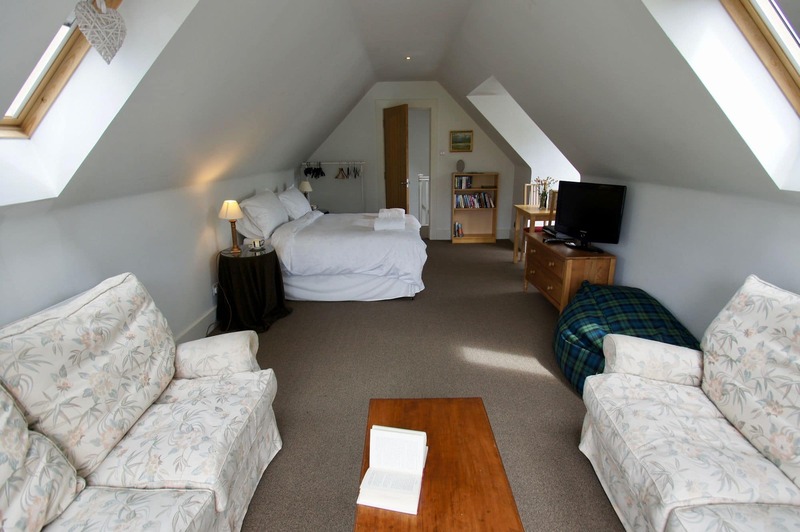 There is also the 9-hole Comrie golf course that welcomes visitors.Fishing is available on the River Earn and there are plenty of walks in the area including the popular walk to Melvilles monument. Comrie fortnight is an annual event attracting many visitors to events held during the two weeks, the New Year fireworks and Flambeau are not to be missed. Parking is available directly outside the property. The property is on two floors with a bathroom downstairs and all other rooms upstairs. Downstairs there is a hallway leading to the bathroom with shower, toilet and sink. There is a stairwell leading up to the landing. Upstairs the landing leads off to the kitchen space. In the kitchen there is an oven, hob, kettle and toaster. There is a second door off the landing leading to an open plan bedroom-lounge area that stretches the length of the building. 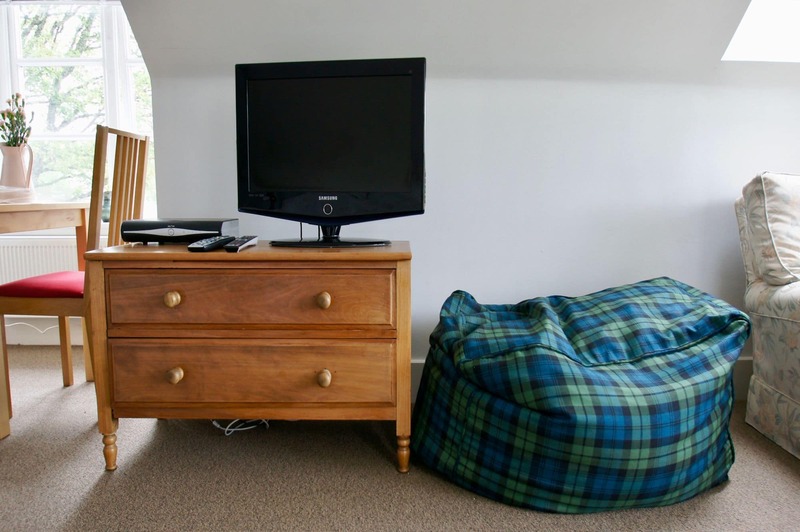 There is a double bed, television and DVD player. Nearby one of the windows is a table with two chairs for dining. The lounge area includes sofa seating, a coffee table and a large window allowing plenty of light with views towards the hills. In summer the guests can also have use of the large garden behind the main house. Comrie Croft, a short drive from the village is worth a visit with a cafe and bike trails to enjoy. There is a 9-hole golf course in the village that welcomes visitors. Walks include a riverside stroll beside the River Earn or a climb up to Melville’s Monument. Fishing permits are available for the River Earn. The White Church is one of Comrie’s most iconic landmarks, along with the Earthquake House and provides for a great photo opportunity on the bridge.